Both cancer and cancer treatments can have unexpected side effects for patients. One of the surprising ones, for some patients, is that the taste of certain foods may begin to change. Altered taste is a "very common nutritional change” for those undergoing cancer treatment, says Catherine Carpenter, professor of clinical nutrition at the David Geffen School of Medicine at UCLA. The reason: chemotherapy, radiation therapy, and cancer type can each affect a person’s sense of taste and dietary preferences. "Increased taste sensitivities are more common than a muting of taste," Carpenter says. "Usually, the type of taste sensitivity encountered is one of a metallic nature." 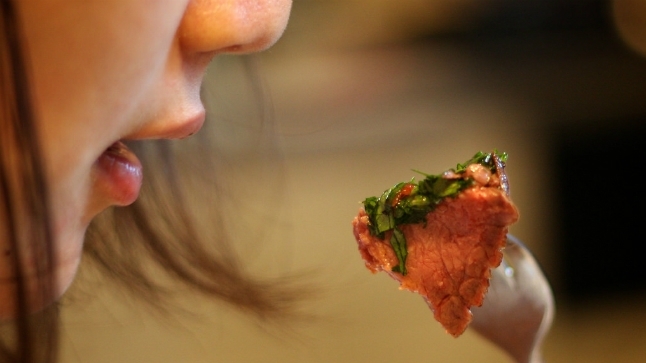 When food tastes different, it can also affect the types of foods that patients want to eat. "If anything, patients tend to prefer bland foods rather than spicy foods," says Carpenter. "It's important to remember that preferences may vary depending on the cancer and type of treatment. You cannot lump all cancer patients into one dietary regimen." Patients ought to be individually assessed to develop diets tailored to their specific needs and taste. "Patients must be interviewed, and then depending on the cancer and type of treatment, a plan can be developed to enhance recovery that is compatible with their taste and smell sensitivities." Carpenter stresses the importance of patient education. "If patients understand the changes in taste they experience is due to their treatment, they can be guided toward healthy food choices that their new taste preferences can accommodate." More details on taste changes and treatments associated with them can be found here.